Ditch the squad. You’re guaranteed to have a better experience here. Fixing your computer shouldn’t cost more than the computer itself. 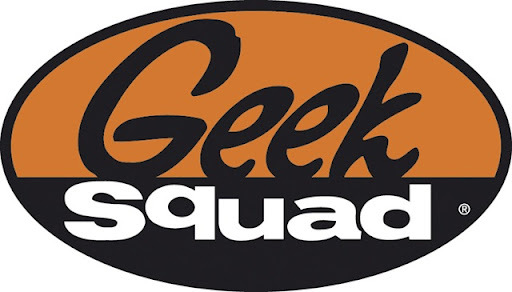 Save up to 85% off computer and mobile services versus Geek Squad. Plus, what you see is what you get – there are no hidden fees or taxes. Please read our notes and disclaimers for the information provided in this table. We provide quality services for everything tech, and even service what we sell. Book an appointment within seconds or call us to pick an appointment for when it’s convenient for you. If something is still not right, we’ll take a look at it again and fix it for free. That’s how it should be. Smart services. Even smarter people. We guarantee we can fix whatever problem you’re having with your technology. And, if for whatever reason we can’t find a solution, we won’t charge you at all. It’s that simple. If you continue to have problems after your appointment, we’ll come back and take a look for free. We also honor store returns and manufacturers’ warranties, which means if you buy something from us that suddenly stops working, we’ll take care of the return process for you. In addition, all Virus Protection and Virus Removal bundles come with a full year of complimentary post-service support to keep your computer running problem-free. Pay how you want to, and know what you're paying for. iTech offers several flexible payment options, including cash, check, and credit/debit cards. After every appointment, we’ll mail you a full receipt showing every service we performed during your appointment. If you have any questions about a charge or discount, we’re just a phone call away. Your satisfaction is guaranteed. • Prices reflect average cost of iTech services and may not resemble the actual charge for the services performed in your home. Please request a quote for a more accurate price. • Prices of services do not include iTech fees shown on the Pricing page, nor taxes from Geek Squad. Geek Squad prices were collected from the Geek Squad website on 4/16/15, and are based on in-home appointment rates. • For our Data Backup/Transfer service, “local” backup refers to removable media, such as a DVD, a flash drive, or an external hard drive. Removable media not included. In addition, our “online” backup price is based on CrashPlan 1-Year Online Backup Service with unlimited online storage space. • For Geek Squad prices, prices with a “+” after them indicate a “from” or “starting at” price, which means that issues that require more attention could be charged a higher rate.